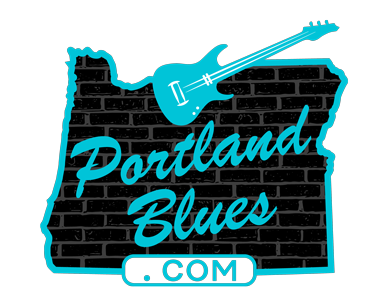 Bend-ing The Blues is a new series of concerts held at The Old Stone Performing Arts Center in Bend, Oregon that is aimed at bringing Portland blues masters to Bend. The kick-off event on Saturday, May 20 will host The Lloyd Jones Struggle with an opening set from Kinzel & Hyde. Lloyd “Have Mercy” Jones has recorded six critically acclaimed albums, toured internationally, and racked up dozens of major awards and accolades, including induction into the Oregon Music Hall of Fame, a Cascade Blues Association “Lifetime Achievement Award,” and the recipient of 35 Muddy Awards. A relentless road dog, Lloyd has been hitting festival stages, Delbert’s annual Sandy Beaches Cruises (he’s been a regular on six winter cruises), and clubs all across the land to enthusiastic crowds who can’t get enough of his swampy blues, back-porch picking, serious-as-anthrax funk, soul, roadhouse two-beats, and old-school rhythm and blues. He just may be the best-kept roots/blues/Americana secret on the contemporary scene today. 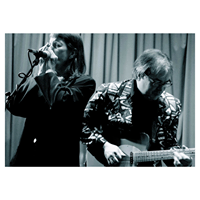 Also appearing will be Cascade Blues Association Hall of Fame Inductees and multiple Muddy Award winners Kinzel and Hyde. Regarded as “Guardians of Traditional Blues,” the pair have appeared on XM Sirius radio station “Bluesville,” NPR’s “Blues On Stage” and provided subject matter and soundtrack for the documentary “Portland Mojo: How Stumptown Got The Blues.” Deep-rooted in traditional sounds, including Delta blues, Cajun, Gulf Coast, classic country, jazz, folk, roots and swing, they are known for their humor and story-telling, taking audiences on a tour of blues and roots music that will blow you away! The Old Stone Performing Arts Center is located at 157 NW Franklin Avenue. Doors will open at 7:30 pm for the 8:00 pm show and is open to all ages. This is a limited seating dance event. Tickets are $18.00 in advance through the venue’s website www.oldstonebend..com and at www.Bendtickets.com. Admission at the door is $25.00. This is a Cascade Blues Association co-sponsored event. CBA members attending will receive a complimentary CD from Kinzel & Hyde. Bend is a great week-end destination with much to do and see. There are several hotels near The Old Stone, which is the oldest church in Bend and has been restored with new wood floors, service bar and fine acoustics. The Old Stone is located in historic Old Bend, near the downtown blocks, close to vibrant night life and fine dining, offered up Bend style! They have ample parking in a safe lot.